In 1997, then-5th District Supervisor Tom Wilson assembled a committee to plant the seeds for the revitalization of the Dana Point Harbor. Even then, more than 20 years ago, our beloved harbor exhibited the stress of age and a cry for rejuvenation. So, this community task force gathered to craft a vision for the future of our harbor, to establish a foundation for all the work that would follow. Little did they know then – and how troubled would they be now? – that 20 years later, there was little tangible affirmation of their vision. We are still walking the same crumbling docks, still dining and shopping in the same decaying buildings. However, their toils, as futile as they seemed over the subsequent two decades offered one enduring achievement. In 1998, this committee produced a list of 12 priorities for the Harbor Revitalization Plan. These 12 Guiding Principles aimed to both instruct, and constrain, so much of what would follow in the redevelopment of our harbor. They became both a guide to those who would undertake our harbor’s renovation and a shield to protect the early vision for our harbor against periodic efforts to alter it. Indeed, had it not been for that task force’s original vision memorialized in those 12 Guiding Principles, we would likely be facing a harbor reconstruction plan in breach of the charm and character that define our beloved harbor, and which so many have worked so hard to preserve. The 12 Guiding Principles have survived as a foundational document for the past 20 years, often referenced as decisions are made on our harbor’s present and future. Tom Wilson’s task force disbanded shortly after it was formed, and our 12 Guiding Principles have endured untouched ever since, orphaned, yet nursed along by caring relatives. In one way they are a time capsule, a snapshot of what those early visionaries both desired and feared in our new harbor. They are a deeply-rooted pact with our heritage. Yet they are also due for a revitalization of their own, an update to reflect today’s priorities. 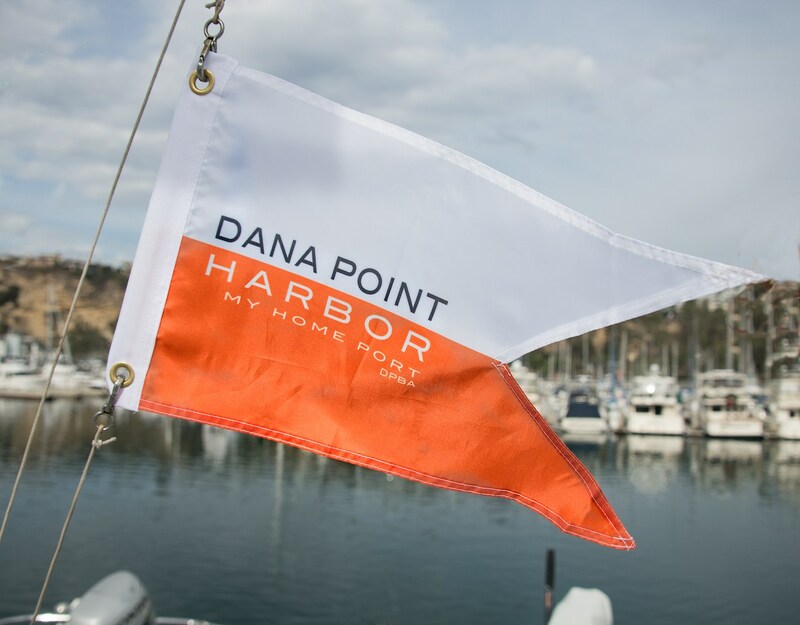 Maintain Dana Point Harbor’s small-town charm, character and family atmosphere. Protect Dana Point Harbor’s beauty and visual appeal. Upgrade/replace existing, aging structures. Avoid radical expansion of the commercial/entertainment complex. Maintain an affordable, full-service recreational boat harbor. Facilities to include boat marinas, ample sewage pump-outs, on-site dry boat storage with launch ramp facility, onsite day use trailer parking, fuel dock, ship yard, bait barge, and mast-up launching hoist. Do not further commercialize the island. Existing and future commercial uses should remain boating and public recreation-oriented. Ensure the future of the two yacht clubs. Maintain Clean Marina certification. Improve and protect water quality. Better utilize existing parking. Provide more parking in commercial area. Protect boater parking without significant increase in walking distance to docks. Protect the OC Sailing and Events Center as a venue for education, community service and youth maritime development. Address overall mix of land uses. Maintain equilibrium among commercial/ entertainment, boating, community service and education uses, and open space. Protect balance of revenue and non-revenue generating land uses. Protect existing parkland, beach and landscape buffers. Enhance affordable public access. Continue to provide restrooms and showers near the docks. Update the boater amenities and service buildings. While these are mostly a modernization of the principles established back in 1998, there are two priorities new to this list. While it should go without saying that we all desire to “protect Dana Point Harbor’s beauty and visual appeal,” and “protect the OC Sailing and Events Center as a venue for education, community service and youth maritime development,” challenges to these fundamental truths in the intervening years necessitated codifying them here. The remaining priorities reflect today’s harbor culture and reality and aim to protect them into the future. These updated 12 Guiding Principles have been offered to our elected leaders and governing agencies as a framework to both instruct and constrain the revitalization of our harbor into the future, just as our predecessors did 20 years ago. We encourage – no, we demand – that our Harbor be carried into the future with faith to these principles.